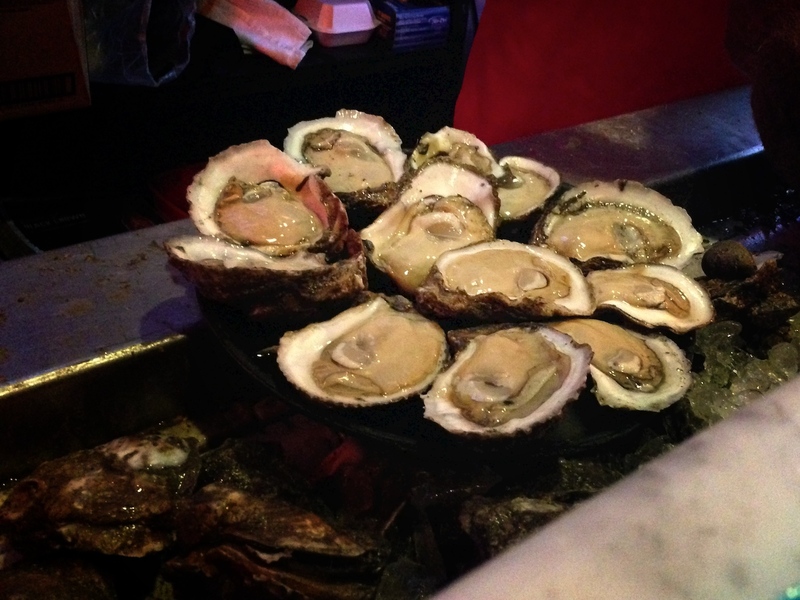 Acme Oyster House – hand-shucked goodness | Best Road Trip Ever! 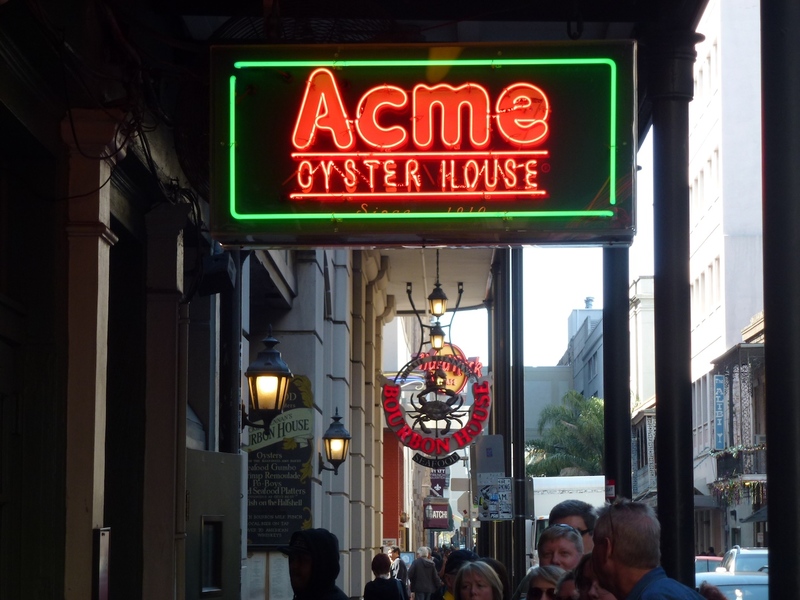 In 1910 the Acme Cafe was opened on Royal Street in the French Quarter. In 1924, a disastrous fire caused the collapse of the three-story Acme Saloon building. 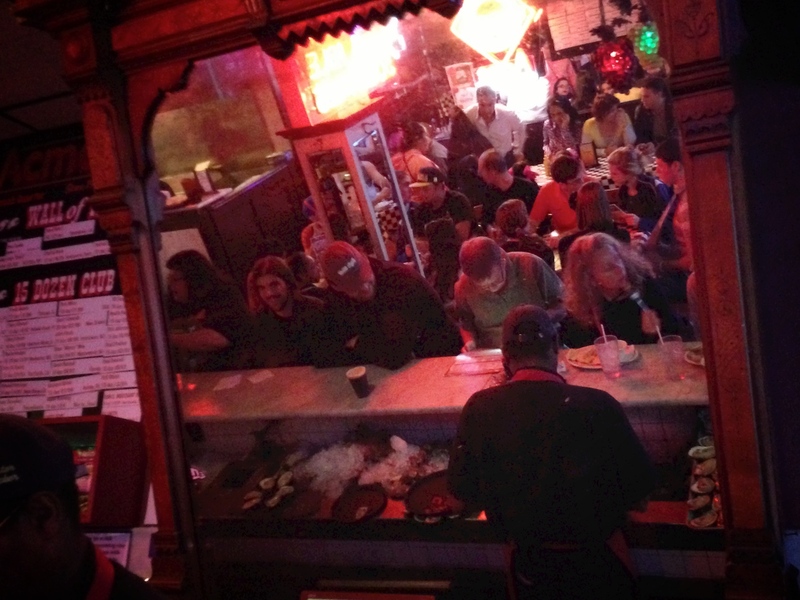 The Cafe was reopened as Acme Oyster House around the corner at 724 Iberville, where it still operates today. Business had slowed for Acme and many other French Quarter businesses in the early 1980’s. For a while, Acme closed at 4:00 and had only one waitress on staff. 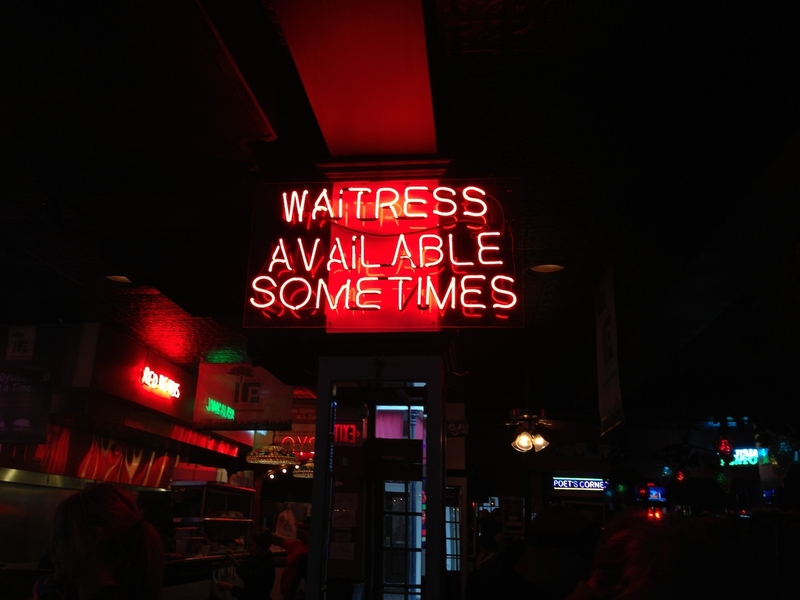 This prompted Acme to make the now famous “Waitress available sometimes” neon sign.